their drag upon my aching arms. was walking freely to the water’s edge. 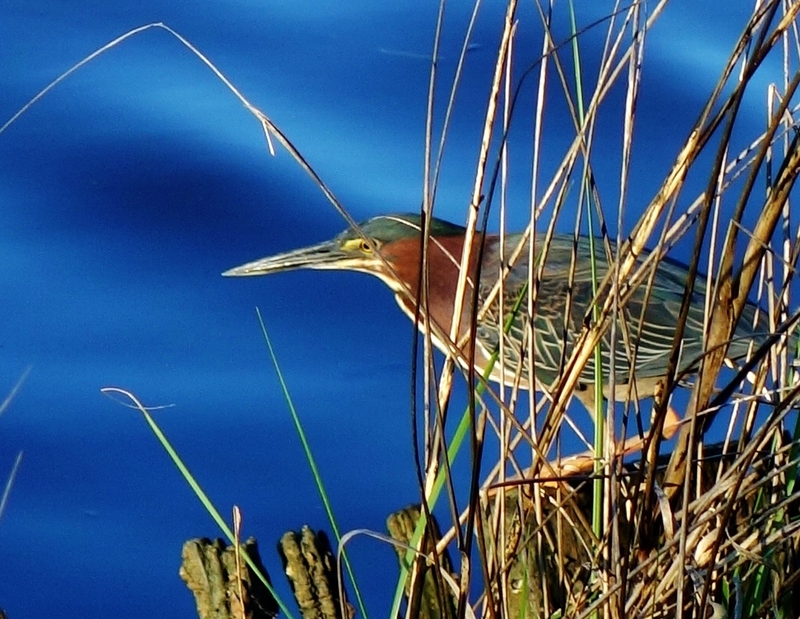 lone green heron standing in the marsh.